Hello again my friends. This year is really flying by. I woke up and realized that we are one month away from Christmas! Goodness! I have to start getting seasonal decorations up! Speaking of seasonal things, it's getting to be citrus fruit season in the stores. Have you also noticed the bags of clementines and mandarin oranges everywhere? I usually see them under the brands of Cuties and Halos. They're so tiny and tasty. I had a flash of brilliance and bought a bag. They are great to send for the kiddos lunches, or drop a few in my purse to snack on at work. I've used clementines in cooking as well. They are so easy to add since they're seedless and add a lovely and gentle sweet orange flavor. 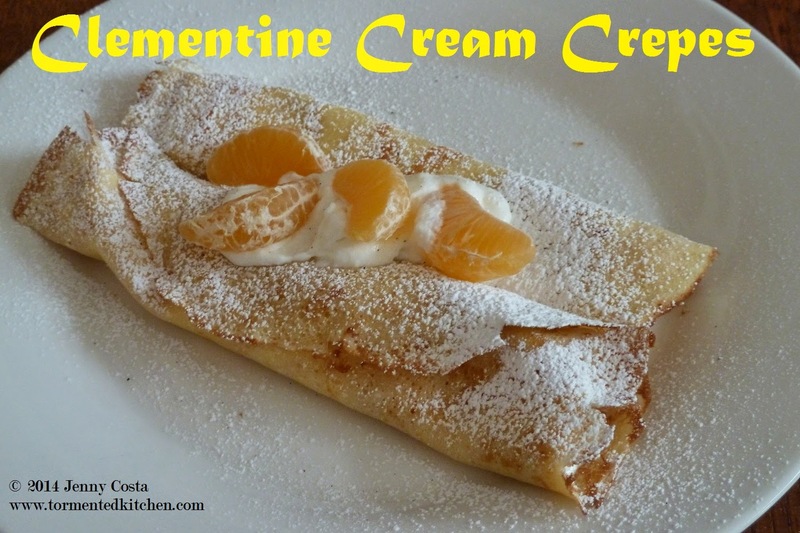 For fun, I made crepes and a sweet whipped cream- ricotta filling, enhanced with the juice and zest from clementines. They were divine! I knew I had to share the recipe with you, because they were too good to keep to myself. By the way, if you don't have access to clementines, other small sweet citrus fruit will work well too. Tangerines, tangelos, satsumas, or even navel oranges will do. But the larger fruit will contain more juice, so you will need to use less. Don't forget to watch out for seeds. 2. 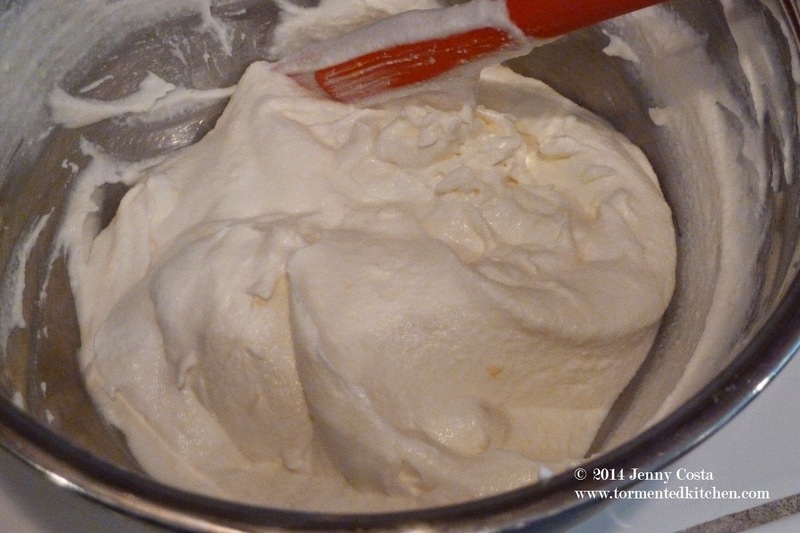 Whip the whipping cream until it holds firm peaks. 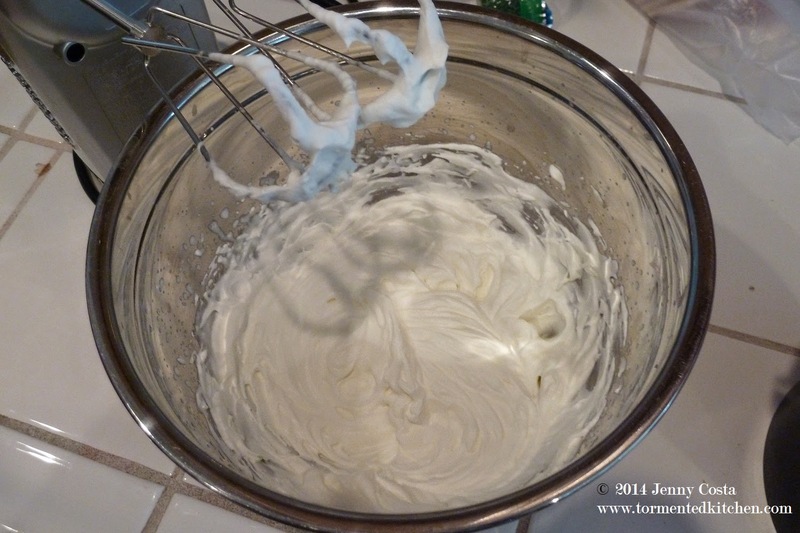 Fold the ricotta mixture into the whipped cream, being careful not to deflate it much. 3. Cook the crepes according to the recipe. I used a smallish 10" frying pan. I usually get about 10-12 crepes from one batch. 4. 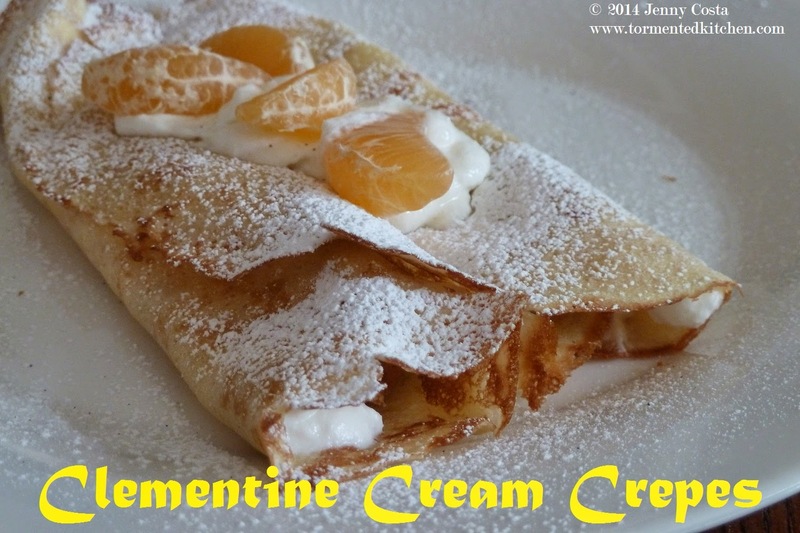 While slightly warm, spoon some clementine cream down the center of each crepe and roll up. 5. 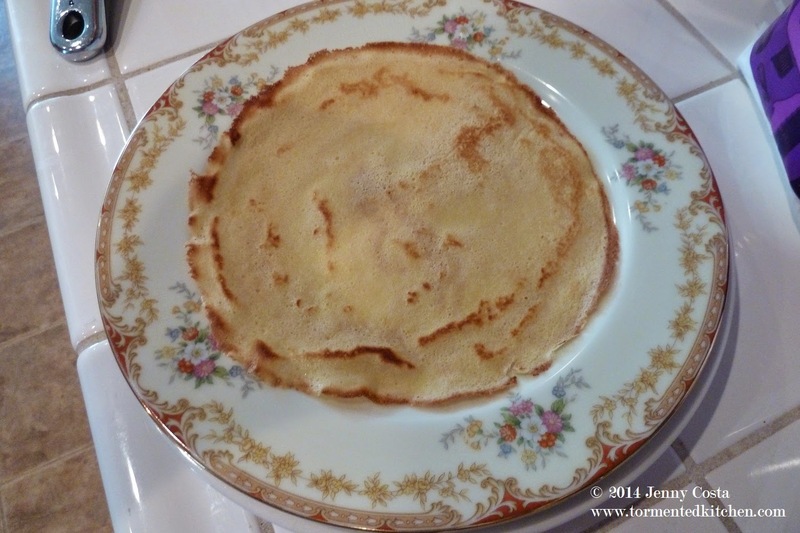 To plate, place two rolled up crepes side by side. 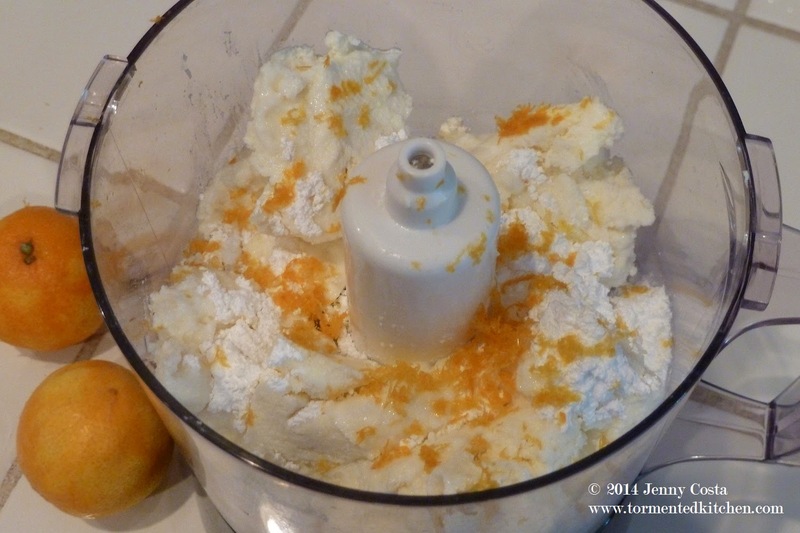 Add an additional dollop of cream and some clementine segments on top. Dust with powdered sugar. 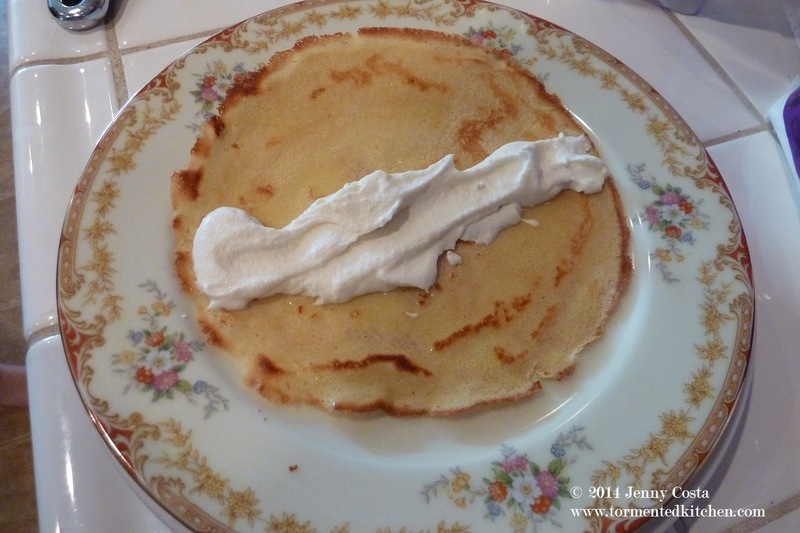 Powdered Vanilla Sugar adds a little extra dimension to this, if you like.